Nick is an outstanding performer who has been entertaining crowds around NZ with his acoustic guitar. Nick has recently won the instrumentalist category at the NZ Gold Guitar Awards. He'll be playing a wide range of music and singing a few tunes too. 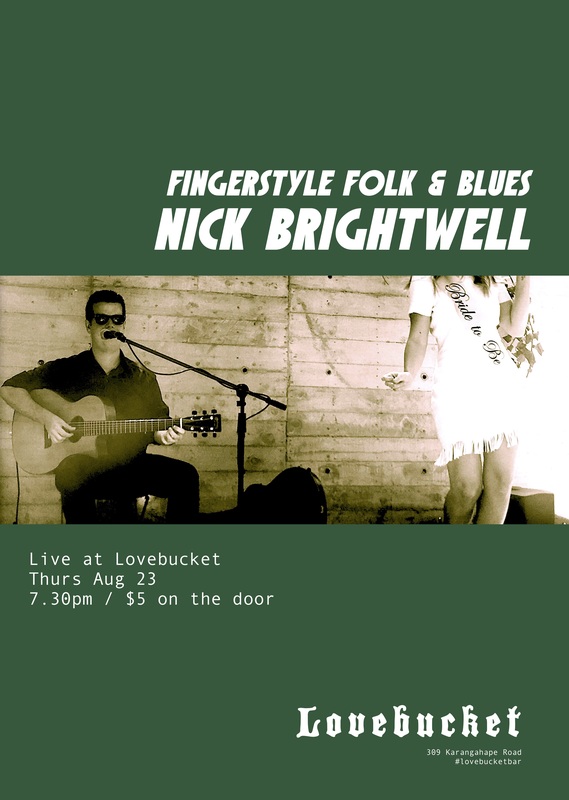 Nick Brightwell is a virtuoso Finger-style guitarist presenting instrumental music on the acoustic guitar. The Finger-style guitar is genre is made of music from around the world, Celtic, blues, country are all part represented with musical elements specific to the guitar itself. Nick’s performance is an exploration of what the guitar can do and presentation of well-loved music.